It is commonly accepted that Islam is not Avodah Zarah (idolatry) since Islam has a clear monotheistic theology with a belief in Allah that parallels our view of "kail" or Hashem. It is even permissible for Jews to enter and pray (Jewish prayer) in a mosque. The views of Christianity and their Trinity are more clouded. Entering a Church is a questionable act. Do we group Christians as one? Would we paskun differently for Catholicism vs Protestantism? I know there are opinions on both sides. Are those who say that Christianity is Avodah Zara just not being open-minded enough to their explanation of how the Trinity equals monotheism? Are those who say it's not Avodah Zara just looking to appease the Christian majority in the countries where they live? In Jewish law, the idea of the Trinity falls under the catchall term of "shittuf" - worshipping G-d along with some other being. Shittuf is prohibited for Jews. This means that a Jew would be prohibited to acknowledge the Christian savior as part of the G-dhead, or to participate in Christian worship, even at the cost of his or her life. There is a dispute among the posekim as to whether shittuf is permitted to non-Jews. (This has ramifications, for example, concerning the laws of yayin nesech, doing business with them on their holidays, etc.). The Rambam (Laws of Idolatry 9:4) states that Christians are considered idolaters under Jewish law - i.e., according to him, shittuf is not a Jewishly acceptable belief for non-Jews either. The Meiri, on the other hand (commentary to Avodah Zarah 2b and 6b), says that present-day Christianity is not considered idol worship, and the Rema (Darchei Moshe 2 to Orach Chayim 156) spells out that shittuf is permitted for them. R Tachlifa bar Avdimi said in the name of Shemuel: the first day [of the week] is always forbidden according to the opinion of R Yishmael. R Tachlifa bar Avdimi said in the name of Shemuel: Christians [lit. נ[ו]צרי Nazarenes] are always forbidden according to the opinion of R Yishmael. If you think [the day itself is included in the count of three days] then the fourth and fifth [days of the week] should be permitted! It's interesting to note while this censorship is not noted in Mesoret haShas in the classic 1880 Vilna edition of the Talmud (link), it is mentioned in the new 'redone' Mesoret haShas in the 2008 Neharda' edition of the Talmud (link, note 3). A Christian: who follows in the mistake of that man [a common euphemism for Jesus] who commanded them to make themselves a holiday on the first day of the week. One: the Rema does not rule that goyim are permitted shituf, but merely rules that for them swearing in the the name of a shituf is not an act of avodah zarah (as only Jews are prohibitted from swearing in anything but HaShem's name). As explained in the Nodah Beyahudah, Yoreh Deah 148: "The intention of the Tosefos and the Rama is that combining the Name of Heaven with something else in an oath does not constitute the actual worship of idolatry; rather he is combining the Name of Heaven with something else, but he is not calling in the name of Elokim and he is not saying 'you are my g-d.' Instead, he is merely mentioning him in his oath with the Name of Heaven in a manner of honor, regarding which we find a prohibition upon Israel, as it is written 'and in His Name shall you swear'; this is a warning to Israel not to swear except in His Name (blessed be He) and not to combine the Name of Heaven and something else, as the Rambam wrote in 11:2 of Hilchos Shevuos —and the gentiles are not warned regarding this shittuf. However, regarding the service of avoda zarah with shittuf, there is no difference between a Jew and a gentile! Two: The Meiri ruled that because it did not engage in the degenerate immorality generally associated with avodah zarah, christianity must be a corrupted form of Judaism. This is a conclusion he reaches without consideration of the actual beliefs of christianity and determing whether or not those beliefs contitute avodah zara. Meaning no disrespect, c"v, I would seriously dispute the Meiri's reasoning and submit that the opposite is true: that christianinty is a "Judaized" form of idolatry. Three: In more modern times, various gedolei hador have ruled that christianity is avodah zarah. In 1964, Rav Soleveichik zt"l ruled that, despite Vatican II, it was still forbidden to teach Torah to christians. He further forbade teaching them how to learn Torah or even to teach them lashon hakodesh. As it is prohibitted to teach idolators Torah, This can only mean that he considered them ovdei avodah zara: there is not other reasonable explanation. Rav Moshe Feinstein zt"l ruled at least twice that christians were idolators: he ruled that if one is in the middle of a shiur and a christian walks in, even though it is forbidden to teach them Torah, it is not neccessary to interrupt the shiur. As above, the only reason it would be forbidden to teach christians Torah would be if they were idolators; he also wrote a teshuva to a shailah whether it was permitted to teach a class to a group of reform children (since some of them would obviously be gentiles) that it was permitted because since those children attended a reform "temple" it was unlikely that they were idolators and that the need to teach Jewish children the Emess outweighed the (in this case) unlikely violation of the prohibition against teaching idolators. I can't imagine that Reb Moshe was concerned about an Indianapolis "temple" being overrun by, say, buddhist or hindu children. Clearly he considered christians to be ovdei avodah zara. More recently, within the past few years, Maran HaRav Yosef Sholom Eliyashiv zt"l has ruled on at least two seperate occasions, in very clear language, that christianity is avodah zara: A Jew planning a trip to Israel was asked by a christain bussiness associate if he would pray for him in Jeruslam. He wrote a shailah to Rav Eliyashiv to ask if this was permitted. Rav Eliyashiv respponded with one sentence: it is prohibiited to pray for an idolator. He also ruled that it was forbidden for Mosdos to accept money from the "International Fellowship of christians and Jews" (an organization almost entirely funded by christian churches) under the prohibition of accepting tzedaka from idolators. In the original version of the Rambam in Sefer Qedusha, Hilkhot Maakhalot Asurot 11:7 (compare the censored version and the uncensored version) he rules that xian are idol worshipers. I have much experience with Christianity in its many forms and denominations. I can tell you absolutely that their beliefs are not uniform throughout the denominations. One may worship Yushka as the physical incarnation of G-d (outright Idolatry) and another may pray to him as the son of G-d (arguably Shituf). The point that they don't actually believe in what they are doing is also not uniform as some believe 100% and are willing to sacrifice their lives for their beliefs while others hold it all lightly. The trinity is a very complex idea believing that "the one God exists in three Persons and one substance. "(G-d forbid). This is not three faces of one but each unit is equally the whole perhaps like a three headed hydra. It is part of Judaism to know as Rambam did the nature of other religions and how to properly interact with their proponents. I just heard a great lecture on this subject on YUTorah.org: The Halachic Status of Christianity and its Legal Consequences, by Rabbi Josh Blass. I don't have the Meiri in front of me, but it was my understanding that he held that "nowadays", Christianity is not A"Z because they don't really take it seriously, which would also hold true to adolescents playing around with sorcery and the like — they don't really believe in the idolatry of it. Regardless of what Christians actually believe, this is an important point for halakhic discourse in general: times change, and so does reality, and halakha reflects this. So even in the Rambam thought Christianity was A"Z, he might think otherwise if he were alive today. And in passing, do all branches of Christianity believe in the Trinity, or is that specific to Catholicism? Inferring polytheism based on the Holy Trinity is a wildly literal interpretation of the concept and totally misses the point. Few Christians think it implies more then one God. In fact, I have never even heard this discussed as a possibility. Not that I'm a theologist or even overly religious, but I think this smacks of nitpicking. Of course, I have no idea what basis the Jewish community uses to categorize such things, so I'm just giving an unaffiliated protestant opinion. Compare Christian theology with Christian observances As a convert to Judaism, intellectually I have to agree with the sources cited that stated that Christianity is idolatry. In fact, I would add that the belief that some, but not all Christians hold, in a Satan independent of God, who manages all that is evil in the world in conflict with God, is also avodah zara in my humble opinion. But I find it also true that the 200+ variations of Christian denominations, and among the members of each denomination, there is a huge variety of opinion and disagreement on fundamental principles Christianity supposedly teaches in the Bible. Biblical illiteracy explains this to a great degree. If you asked all Christians to list everyone they believe were "true Christians" I suspect that the few names in common would be just enough to play a game of canasta. Nevertheless, I think within Judaism there is great disagreement as to whether Christianity is avodah zara, and more specifically whether Christians themselves can be considered idolators. Christmas sales After his death, I asked Rabbi Anemer's student and successor at YISE, Rabbi Dovid Rosenbaum, shilta, that given the prohibitions of doing business with idolaters before their holidays, I wondered how the rabbis have accepted the practice among Jewish merchants to heavily advertise their wares to Christians during the Christmas season. His response was that it is not clear that Christians are idolaters, and he agreed that if they were, Jewish merchants would certainly be prohibited from having Christmas sales. Adding intermediaries between men and G-d: "Through jesus christ our l-rd" "through His mother Mary" are common phrases in Protestant and Catholic prayers, depending on the stream of faith. This cannot be consistent with the prohibition of having other gods "before" Hashem. Indeed, in the gospel it is claimed that only through jesus can one go to the father ("I am the gate", etc). As R Aryeh Kaplan explains in his Anthology, the placing such intermediaries is what "having other gods before Me" can be interpreted as. The trinity is commonly (especially in Catholicism) claimed to be a "mystery" that we cannot understand, and thus not in violation of the oneness of Hashem. However, the gospels about jesus dictate that jesus was a spin-off human. The claims of the unity of their G-d are, in my understanding from 10 years of experience studying about the catholics, essentially a fall-back so that the concept of the trinity does not crumble when you argue to them that Hashem should be one. This is one of the times when one must understand that sheker/falsity is more dangerous when it has partially true appearances. It is highly problematic that jesus is put to be a human, the messiah and the son of G-d while also G-d himself. Let us set aside the problems with claiming jesus as the messiah for this post (it violates the prophecies in various aspects, as R Aryeh Kaplan also explains in his Anthology). The idea that Hashem Himself who is Ein Sof is reduced as a human contradicts both the "Oneness" of Hashem and that He cannot be reduced to a "body". I highly recommend anyone exploring this topic to refer to Aryeh Kaplan's highly logical works that have an accurate understanding of christianity, the Anthology for detailed analysis, and the Maimonides Principles (which includes questions regarding islam and christianity) for a quick idea. Regardless of whether there is any implied 'cohesion' or oneness of the elements of the so-called "trinity," the fact remains that they are 1) three distinct 'beings', and 2) that one of these beings has a human form, is a human body, etc. Therefore, that is clearly avodah zara. Worshipping a human being is the same as worshipping G-d in any other idolatrous form. G-d has no form. Worshipping any form whatsoever is idolatry. Protestantism-based answer, intended to clarify the Christian disposition on the question, and on the idea of the Trinity. First demographics. Christianity is a monotheistic faith, meaning simply, believers in it say so. Take a poll of Christians and exclude anyone who says they believe Jesus is now dead, or is/was not a real historical person. Ask those remaining whether the idea of the Trinity means that "there are three Gods", yes or no. I would be shocked if even a single person said yes out of a hundred. שְׁמַע, יִשְׂרָאֵל: יְהוָה אֱלֹהֵינוּ, יְהוָה אֶחָד. ܐܵܡܲܪ ܠܹܗ ܝܼܫܘܿܥ. ܩܲܕ݂ܡܵܝ ܡܸܢ ܟܠܗܘܿܢ ܦܘܼܩܕܵܢܹ̈ܐ ܫܡܲܥ ܝܼܣܪܵܝܼܠ܅ ܡܵܪܝܵܐ ܐܲܠܵܗܲܢ ܡܵܪܝܵܐ ܚܲܕ݂ ܗ̄ܘܼ. The khad is the same in both places. So clearly, he teaches that God is one (echad), and he is one (khad) with the Father. And he directly debates this very question in the conversations in the Temple that John / Yochannan and Mark recorded in their gospels. Of course, a great many people do not believe that Yeshua is one with the Father, but I argue that for those who do, based on the literal text of the teaching itself, that belief cannot possibly be in contradiction to the Shema Yisrael. Now to consider today's doctrines. There are also a number of groups, some of them large, that reject the Trinity. Specifically with Catholicism, other questions could be in play, because many Catholics pray to their "Saints" as proxies, asking the Saints to pray to God on their behalf. Many Protestants consider this practice to be idolatry. This is, in fact, one aspect of one of the critical doctrinal divides between Catholics and Protestants. I do not know how most Orthodox traditions treat this particular issue. Rabeinu Bahya in Chovot Halevavot Gate 1 implies it is not compatible with Judaism's core beliefs. The verse states, "The names of other gods you may not mention; it should not be heard on your lips" Shemot 23:13. The Shulchan Aruch (Yoreh Deah 147:1) rules that it is prohibited to mention the name of an avodah zarah whether or not there is a reason to do so. Furthermore, the Gemara says that even causing somebody else to mention the name of the avodah zarah would be prohibited. The Maharam Schick (Responsa, Yoreh Deah #171) adds that it would be similarly prohibited to say something that would cause one to think about an avodah zarah. While many leading poskim dispute the Maharam Schick’s stringency on this matter, the actual Torah prohibition of explicitly mentioning the name of an avodah zarah remains intact. Worship of any being other than that which was revealed to us Har Sinai is prohibited. "You saw no form only heard a voice." Originally, the Ebionites (or Nazarenes) held that their Messiah was born of natural generation; that is, they did not believe in a "virgin birth" or that their Messiah was equal to HaShem. Now that they (the Nazarenes) worship (sing and pray to) a third part of a trinity, having deified a man, their worship is no different than if they were to pray and offer sacrifices to Julius Caesar. Of course the members of the Kingdom Hall (the Witnesses) and some Messianics don't worship after the manner of the trinitarians and oneness Pentecostals so they can't be classified as engaging in Avodah zarah except perhaps by mentioning the name of the third part of the trinity while referencing their messiah. I would make this distinction because many well meaning "witnesses" who worship in the Kingdom Hall and some Messianics do not engage in Avodah Zarah as I understand their manner of worship. (I am not sure if they say the "Our Father" prayer of Matthew 6.9-13 in the Kingdom Hall but that prayer clearly has it's origins in Judaism and was a part of the Apostolic Creed [see the Didache] from the time that their Messiah is said to have commanded them to pray the "Our Father" prayer). In sum, worship according to the trinitarian or even the oneness belief system would clearly be avodah zarah because one would be required to mention the name of the Nazarene deity; contrary to what the Torah says! It should be clarified that bishituf is acknowledging the supreme creator of the world who works in tandem with other divine forces. That is not christianity. Christianity changed the definition of god with their concept of the trinitarian godhead. They claim that all elements of the trinity are equally god, and as such do not believe in a supreme creator being at all. They believe in a collective of supreme beings, all of whom are the Creator in their mind. I think that accordingly everyone would hold that it is straight up idolatry and not bishituf at all. Please correct me if I am mistaken, but this is what comes out from their literature that I have read on the subject. It may be that later in life the RAMBAM decided that Christianity was not idolatry. There is a responsum where he seems to me to be saying that it's OK to teach Torah to Christians, but not to Muslims. Though Fred who mentioned this responsum, is not sure whether it means after they convert or not. Since it's not allowed to teach torah to idolators, and the RAMBAM allows it to be taught to Christians, it suggests that the RAMBAM might've changed his view on Christianity later in life and decided that it was not idolatry. (his view in hilchot avodah zarah is clear that it is idolatry. The responsum/letter was written at a later time in his life). To any novice reader, i'd point out that "liable for the death penalty", isn't to be taken too seriously / how it appears.. Firstly some things in Judaism, if Jews do the sin, they're "liable for the death penalty" like breaking the sabbath. It doesn't mean that's enforced and even the biggest extremist won't try to enforce it because there are fundamental reasons why it can't be enforced e.g. there has to be a sanhedrin sitting in the court of the temple, and we don't have that.. and other reasons too. As for death penalty to gentiles, that's also something not even the biggest extremist even dreams of enforcing.. and one reason is theological.. which is that it doesn't seem to make sense if gentiles are treated with a stricter law than Jews e.g. decapitation for breaking any of the 7 laws. So see liable for the death penalty, whether ot Jews or non-jews, as just meaning very seriously/strongly forbidden. השאלה הל"א שאלה מאמר ר' יוחנן גוי שעסק בתורה חייב מיתה, האם זה הלכה והחייב כל בר ישראל להמנע (מללמדו) דבר מן המצות חוץ משבע מצות או להעמידו עליהן, אם לאו? התשובה היא הלכה בלא ספק. וכאשר יד ישראל תקיפה עליהם, מונעים אותו מתלמוד תורה עד שיתגייר. אבל לא יהרג, אם עסק בתורה, לפי שאמר חייב מיתה ולא אמר נהרג כמו שאמרו על שבע מצות בן נח נהרג. ומותר ללמד המצות לנוצרים ולמשכם אל דתנו, ואינו מותר דבר מזה לישמעאלים, לפי מה שידוע לכם על אמונתם, שתורה זו אינה מן השמים, וכאשר ילמדום דבר מן כתוביה (וימצאוהו) מתנגד למה שבדו הם מלבם לפי ערבוב הסיפורים ובלבול העניינים אשר באו להם, (הרי) לא תהיה זו ראיה אצלם, שטעות בידיהם, אלא יפרשוה לפי הקדמותיהם המופסדות ויוכלו להשיב עלינו בזה בטענתם ויטעו כל גר וישראל, שאין לו דעת, ויהיה זה מכשול לישראל האסורין ביניהם בעונותם. אבל הנוצרים מאמינים בנוסח התורה שלא נשתנה, ורק מגלים בה פנים בפרושם המופסד ומפרשים זאת בפירושים, שהם ידועים בהם, ואם יעמידום על הפרוש הנכון, אפשר שיחזרו למוטב, ואפילו לא יחזרו, כשרוצים שיחזרו, לא יבוא לנו מזה מכשול ולא ימצאו בכתוביהם דבר שונה מכתובינו. Question: Regarding the statement of R' Yochanan [Sanhedrin 59a] that a non-Jew who delves into Torah study is chayav misa [lit. "liable for death"], is this the law, and are all Jews obligated to avoid teaching a non-Jew anything from the commandments, besides for the seven Noahide laws, or to avoid bringing him to understand them, or not? And it is permitted to teach Christians the commandments, and to attract them towards our religion. But this thing is not permitted with Muslims, as is known to you regarding their faith, that this Torah is not from heaven, and when you teach them something from its scriptures, if they find it contrary to that which they have imagined from the muddled stories and warped ideas that have reached them, the scripture will be no proof to them, for they maintain this mistaken view. Rather, they will interpret the scripture according to their preconceived misconception, and they will be able to respond with this claim. And any convert2 or Jew who lacks knowledge may thereby err, and this would be a stumbling block to the Jews who are trapped amongst them (due to their sins). However, the Christians accept that our version of the Torah is unchanged, except that they misrepresent it with their deficient interpretations, and they explain it with interpretations that are known to them. And if they would be corrected with the proper interpretation, they might return to the right way. And even if they don't recant, if they want us to recant3 we will not have a stumbling block from this, since nothing found in their scriptures [of the Old Testament] is different from our scriptures. 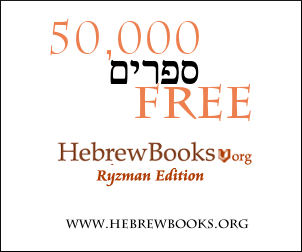 Fred Wrote: When the Rambam writes, "וכאשר יד ישראל תקיפה עליהם מונעים אותו מתלמוד תורה עד שיתגייר", I'm not sure if the Rambam meant that we don't teach non-Jews Torah until the conversion process is complete, or if he meant that we don't teach them Torah until they come seeking to convert. In any case, it appears likely from this responsum, and from the the Rambam's ruling in Hil. M'lachim 10:9, that even a ben Noach who accepts the divinity of the Torah (see Hil. M'lachim 8:11) may not study Torah other than as pertains to him (however, the scope of what Torah pertains to a non-Jew may be quite broad - see this answer). Not the answer you're looking for? Browse other questions tagged halacha avodah-zarah christianity . What is the exact definition of Shituf (vis a vis 'Avodah Zarah)? How does Judaism regard the different denominations of Christianity vis-a-vis Avoda Zara? Are Tibetan Prayer Flags a form of Avodah Zara? Is tai chi considered avodah zara?